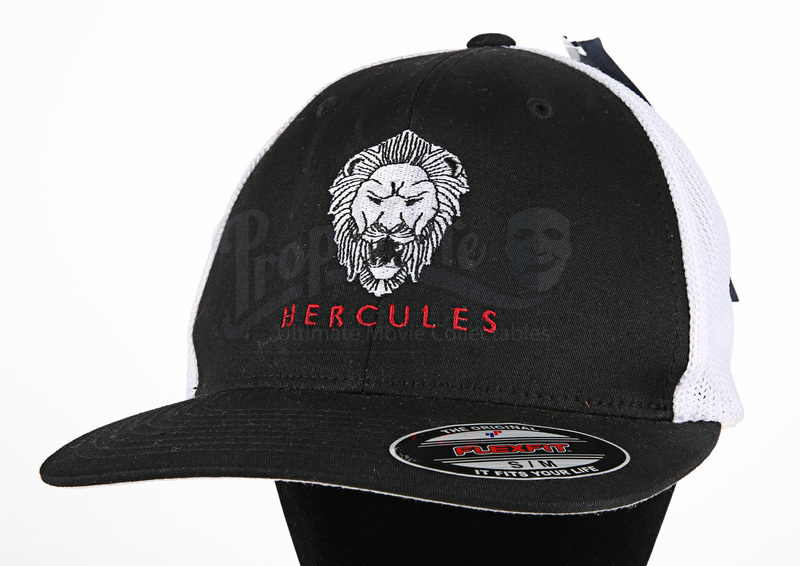 An original crew cap from the production of Brett Ratner’s 2014 fantasy action film Hercules. 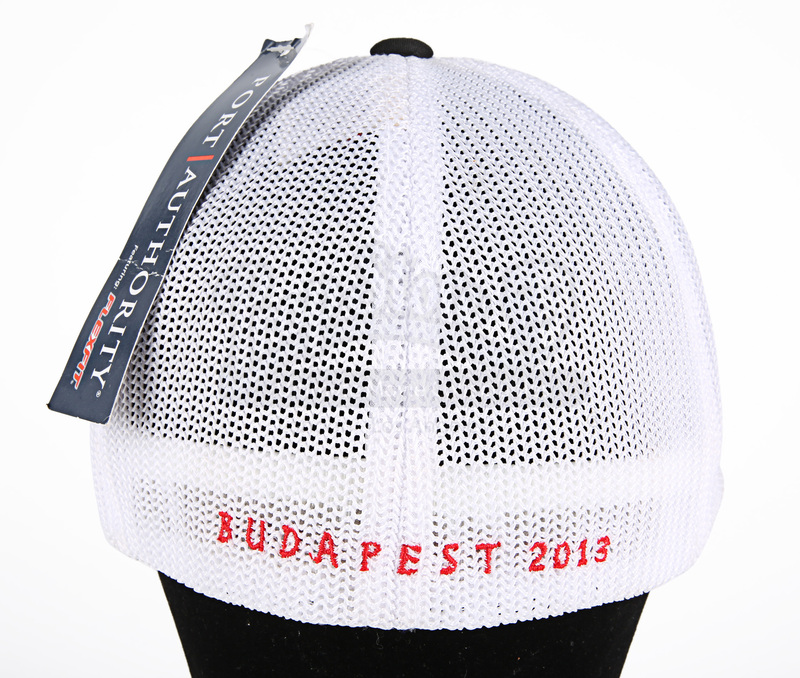 This item is a black crew cap with white mesh three quarters of the way around the head, in a size small/medium. 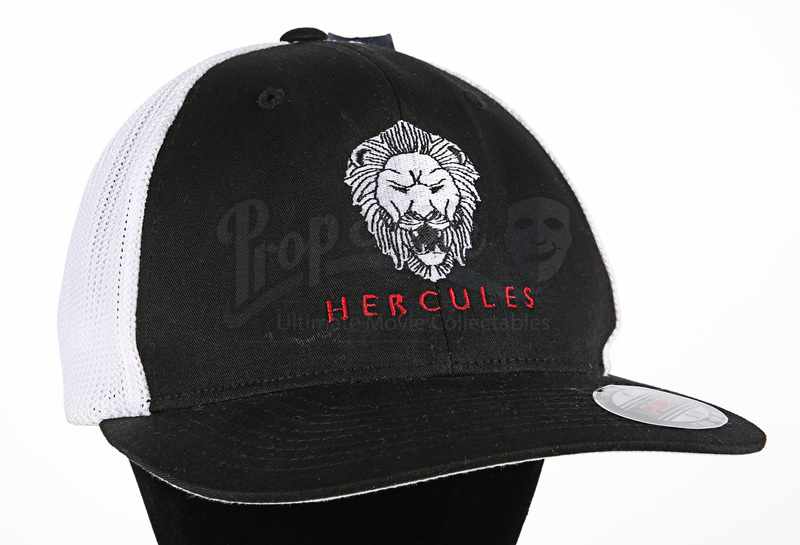 It is 55% polyester, 43% cotton and 2% Spandex®. 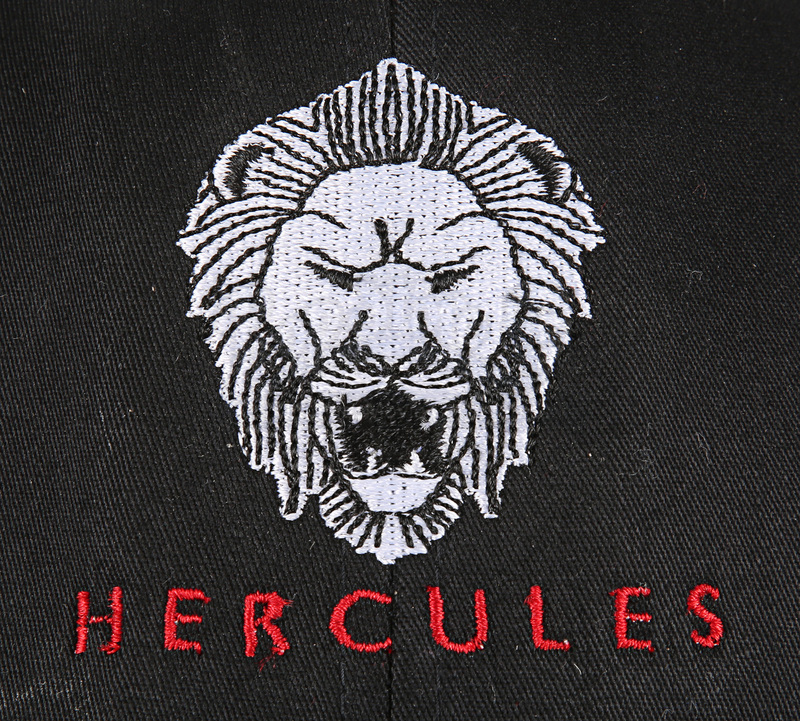 It has a white embroidered lion on the front with the word HERCULES beneath in red thread. On the brim of the hat is a removable sticker from the manufacturer, Flexfit. This item is in pristine, unworn condition and still has its original tags attached. 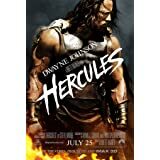 Materials: Man Made Woven Fibres, Cotton, Spandex®, Ferrous Metals.